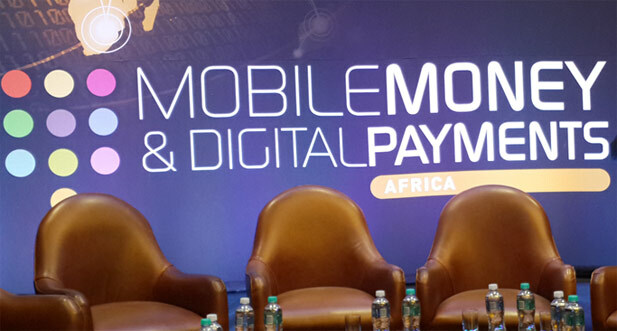 I had the had the thrilling and awesome privilege to chair the second day of the 7th edition of the Mobile Money and Digital Payments Africa 2014, in Johannesburg at the end of May. 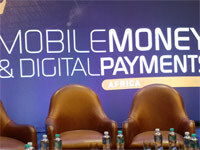 Different stakeholders in the mobile money and digital payments industry across Africa and beyond converged at the Hyatt Regency Hotel in Rosebank to deliberate and exchange notes on the mobile payments industry in what is now an annual regional indaba. The biggest single grouping of delegates as is normally the case, are mobile network operators from the region. Consequently, they would dominate the greater part of the conversation regardless of topic. Being a banker I believe I diversified the debate’s perspective by giving the banking view of the payments divide. Despite the regional discrepancies of markets, the experiences of the mobile telecoms markets are largely the same. Regulation has generally lagged behind innovation in the different countries, from the torch-bearer Kenya in East Africa to Ghana in the west and Malawi in the south. There has essentially been 3 types of mobile money regulators in the region; ‘we’ll walk with you’ type , ‘we don’t know what you are up to’ and the ‘let us do a little at a time’. These have been categorized in the industry alternatively as either ‘MNO’ or ‘Bank-led’ models respectively. East African regulators have apparently been more liberal than their west African counterparts, and in the view of mobile network operators have slowed mobile money growth in the region. Southern Africa has been a bit of a mixed bag with South Africa being well controlled by the central bank, having a phased roll-out of mobile wallets in an otherwise well-banked market relative to other African countries. Malawi has 2 operators – Airtel and TNM – who strangely enough are collaborating and cordial in building a regulatory framework for operators and banks in the country. A proper Mobile Money Coordinating Group was established comprising banks, telcos and regulators supported by non-state actors such as The World Bank, USAID and the United Nations Capital Development Fund. Depending on the market structure, operator collaboration is generally a rarity, as the bigger players normally seek to dictate the pace at which the market moves and gets to be regulated as well as the structure in general. Mobile money regulation in Zimbabwe is still evolving and the original roll out date of September 2013 was missed by the central bank. The not-so-strong position of the central bank after the dollarization possibly has not been helpful, particularly when compounded with the lukewarm support of multilaterals. The intervening period has been turbulent in terms of defining and managing the terms of engagement for operators, banks and other interested stakeholders. The overlapping boundaries between the central bank and POTRAZ has not made the pre-regulation era any easier to manage. In Kenya and other countries non-state actors such as USAID, UNCDF, The World Bank and prominent donors such as the Bill & Melinda Gates Foundation have given traction through a facilitator role. Organisations such as The Helix Institute of Digital Finance and Microsave are proof of the capacity-building initiatives that have partly abetted success in Kenya over and above what the protagonists have done to create awareness and product uptake. This brings us to the contentious issue of interoperability which mobile operators talk a lot about at every forum, but they seem not to agree amongst themselves as well as with their new competition in the financial services space, the banks. The primary reason for not driving mobile money interoperability from the bigger players’ perspective appears to be that of protecting market-share, despite the fact that basic communication applications are already inter-connecting. The motivation in my view is that short-term profit objectives are the major driver at both the institutional and manager level within the bigger institutions, since opening up to interoperability implies some surrender of market share to the smaller operators and perhaps banks which plug into the big player’s network. Bigger operators appear miffed by the idea that smaller operators and non-telcos are ‘free-loaders’ who are coming to proverbially reap where they did not sow; from infrastructure to consumer and agent education as well as awareness. The pro-interoperability group naturally argues that interconnection will increase the volumes, and the size of the cake will grow for everyone and, more importantly, will extend significant convenience to the customer as there are more benefits and friendliness from an open and seamless ecosystem. I recall one operator asking banks to ‘build their own network’ if they do not wish to connect via any other gateway other than their wallet. Whilst what the operator was proposing achieves interoperability, the solution unfairly advantages the operator under the competition narrative and they get more control and revenue. Perhaps that is what co-opetition is all about, fighting for appropriated value in the financial services ecosystem. Kenyan operator Safaricom and Equity Bank started off their collaboration well when they launched a number of microfinance products riding on the success of M-Pesa such as M-Kesho. The operator-bank relationship did not last and Safaricom switched to Commercial Bank of Africa and launched the M-Shwari service which offers M-Pesa clients access to mobile micro-banking services. Apparently there was deep mistrust between the two institutions and there was never firm consensus on the profit-sharing ratios out of the partnership. Equity Bank on the other hand signed up Safaricom’s rivals yU and Orange for similar services before they moved on to get a mobile virtual network licence via Airtel to put them at par with the Safaricom-CBA alliance. Quite clearly Safaricom thinks like a bank, and inversely Equity was also thinking like a telco from the onset of the rather nervy relationship, hence divorce did not take long to come. 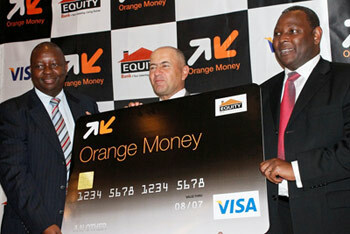 Equity Bank has been issued with a mobile virtual network operator licence, and will ride on Airtel’s infrastructure as it issues close to 9 million Equity SIM cards as it launches in July. That is a bank not only ‘thinking’ but ‘acting like a telco’. In the Zimbabwean context Econet lured a number of banks to integrate into the EcoCash ecosystem at the wallet level hoping to reap huge rewards. A number of banks that ‘think like Telcos’ were wary of the dangers and insisted on neutral switch-level integration via Zimswitch which they had always used for ATM and POS connectivity. Whilst the jury is still out on the returns for banks that integrated with Econet at the wallet level EcoCash, it is apparent that they are uncomfortable with the aggressive move by Econet’s Steward Bank to convert EcoCash clients into bank clients. One of the things Zimbabwean businesses are naïve about is the priceless value of data, and how competition can easily get access to that and target one’s customers. Financial inclusion was one of the more immediate benefits of mobile money in Africa, but only at the remittance and to some extent payments level. The extension of microcredit, insurance and other products remains superficial. A lot of work needs to be done to develop products that provide solutions to some of the most profound problems of the base-of-pyramid communities in and around Africa. Non-state actors and non-governmental organizational delegates were not as pre-occupied of mezzanine ecosystem issues such as interoperability. They were more seized in ensuring accessibility and user-friendliness of services by the very marginalised communities who still feel they are not primary beneficiaries of mobile money. The language and communication collateral used by network operators and their associates makes the low income segments feel alienated. Lisa Kienzel says ‘Interoperability is not up there with the real top priorities for mobile money where base-of-the pyramid communities are concerned’. Lisa went on to elaborate that from a communications perspective the iconography and images used on mobile money collateral ordinarily resonates with middle to upper-income lifestyle and this alienates the low income groups. The acronyms and codes are presumptive of the awareness and literacy of users which unfortunately is not homogenous in markets and regions. Julie Lee from MicroFinance Opportunities (MFO) was also emphatic about the need to invest in the financial education of low-income users who are the biggest beneficiaries of the inclusive impact of mobile money in developing economies. It was also clear that the fast development of mobile money systems in different markets does not necessarily result in entrepreneurs and a population that is savvy with money. There still remains a huge need for investment in financial education especially where there is an intention to improve livelihoods at scale at the basement. Doing this is expensive and players are not keen to do it where the return accrues to current and future competition over the long term. It is one of the reasons the early movers are viciously defensive in protecting their ecosystems, and in the process delay interoperability right down to the agent level. It is not surprising that not-for-profit organisations or governments have had to play this role, to the benefit of commercial operators. The development of mobile-money-integrated microfinance is strategic to financial inclusion as it provides unprecedented leverage to the lower rung of the economic ladder which has limited to no access to loans from the traditional banking sector. Mobile money also does open up opportunity for downstream players that see scope to earn a good return through the packaging and extension of value-added services and products beyond value storage and basic transactions. More importantly the diversification and increase of the number of players broadens the availability of financial service suppliers to the micro, small and medium-sized enterprises, referred to as the informal sector in most jurisdictions. 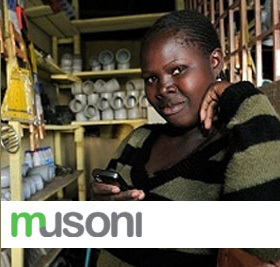 Musoni in Kenya is the first 100% paperless microfinance institution in the country with an impressive processing turnaround. In Zimbabwe this sector has grown exponentially, creating a compelling case for financial sector deepening if the economy is to get fired up. The pricing of micro-loans is generally high in most markets, ostensibly to cover the high default rates by the segment. The paradox is that unlike with most products and services, those that can least afford to pay for loans are the ones that pay the most premium when it comes to interest rates. Wonga.com is one of the best known ‘fast little loan’ offering available in the developed markets, but the beauty is that they are very transparent about their high interest rates unlike micro-financiers elsewhere. Mobile money has remained relatively closed and there is more to be done to integrate it to other ancillary applications that would enhance its utility and relevance to different segments and communities. It is lagging integration to the mobile web compared to bank payment solutions and other wallets such as Paypal, Google and Facebook. Mobile money was such a big game-changer to remittances and payments, and it appears that some big players are obsessed with the status quo and do not realize that they opened up the possibilities to many other players who are keen to open even more opportunities through the value added by interoperability. The fear of opening up the ecosystems is slowing the pace of development of mobile money to its full potential, at least in the near term due to vested operator interest. There is an obsession to keep the garden walled from the rest of the system, perhaps to make the most before anyone else comes in. It is widely accepted as it is evident in telco circles that at some point the network will become a ‘dumb pipe’, so it is perfectly understandable that one will try to extract maximum value through limiting access through integration on one hand, whilst innovating value-added services to enhance revenue per user to counter the debilitating impact of reduction in data and voice revenues. Content may not be such a revenue racker for the Zimbabwean operator, but payments is the clear Eldorado at this juncture. It is good to see that the plugging of international remittances onto mobile wallets taking off to deliver seamless and real-time funds movement from the diaspora, cutting out costly and unnecessary trips to town to collect cash from agents. 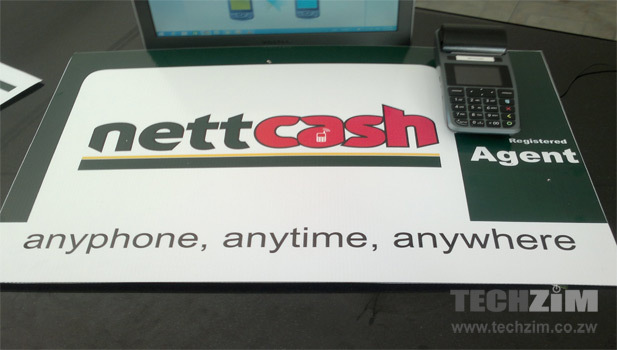 On the innovation front French mobile money platform provider Tagattitude presented their sound-based near-field mobile money solution Near Sound Data Transfer (NSDT) which locally has been rolled out via new kid on the block Nettcash. Unlike the standard Near Field Communication (NFC) NSDT uses any mobile phone or device’s microphone to transmit payment data in a secure manner near field. This includes e-commerce payments online using a computer’s microphone system once a merchant is integrated. The solution has been integrated to enable cardless withdrawals at ATMs as well as bill payment set-ups. From a simplicity perspective, NSDT appears to have scope to be user-friendly for the less sophisticated of users who tend to be ignored by mobile money strategists. The TagPay mobile money system is apparently 100% telco and handset agnostic which is quite a feat on the road to make systems interoperable. The security of the ecosystem however remains to be proven compared to USSD, the stock in trade. Being a banker I am naturally paranoid about risk management and interestingly that is one subject matter mobile money practitioners from the telco side have no time for, it hardly finds its way to the 2 or 3-day agenda. I hope not that the ecosystem will not one day be hit by a major cyber-loss which will undermine the swashbuckling confidence in the ecosystem. I am convinced that in the not-too-distant future pure mobile money agents may face extinction as the ecosystems become more interoperable and users get savvier with the convenience of keeping and moving their money electronically across multiple use cases. This is simply because we are getting to 100% mobile penetration, and each every adult will end up with one versatile wallet, payment platform or another, and as they integrate the need for cash will dissipate. If there is a country that would benefit and save millions of money from going digital it is Zimbabwe. We use an overwhelmingly strong currency which if the truth be told is too heavy and indivisible a burden for our weak economy and low per capita incomes. Perhaps the talk advocating for a switch to the South African rand is economically sensible. We cannot afford the administrative costs of a currency we do not print, have to import at a huge cost and have no ready access to change. The divisibility of electronic money (cards, mobile) will make it possible for the Zimbabwean economy to correct prices which arguably are currently out of line. The Zimbabwean mobile money system has already started to integrate with international money remittances, and this implies that the opportunities for cashing out will be reduced to the benefit of the customer. We have some of the biggest per capita remittances emanating from the diaspora and the integration of incoming remittances with local wallets and the banking system makes common sense. I left the Mobile Money Africa 2014 conference well convinced that the Zimbabwean mobile money/banking market is well poised to have a dynamic, balanced, efficient interoperable architecture despite the ecosystem birth pangs which saw spirited turf wars at the beginning. With all the Zimbabwean network operators well on their way to bank integration via Zimswitch’s ZIPIT(Zimbabwe Instant Payments Interchange Technology) platform for one reason or another, customers are positioned to make a choice of the best product to pay or remit funds in and around Zimbabwe as well as online. The integration will result in a more efficient utilization of the shared infrastructure such as ATMs, POS terminals and online check-outs, and it creates additional merit for increased ubiquity of these gadgets given the inevitable explosion of cards amongst mobile wallet users. ZIPIT integrated mobile banking products such as FBC’s Mobile Moola, CABS’ Textacash, POSB’s Cellphone Banking are already enjoying bilateral traffic with wallets with customers enjoying the seamless bank-wallet convenience in the process. If one needed evidence that the mainstream banking system and the mobile money ecosystem need each other, it is how the recent delays in payment of civil servants salaries engendered a palpable slowdown in economic activity across both systems as well as the economy in general. To me it was proof that talk of there being seven or whatever billions in the Zimbabwean informal sector is exaggerated, there is simply no such amount of money in the market. What circulates in our economy largely comes out of government as civil service salaries, and the moment that predictable tap is tampered with, the impact is systemic and predictable. The high appetite for credit by the salaried individuals means banks have a huge say in the flow of funds by individual consumers on a monthly basis, whilst the mobile wallet is ideally suited to manage P2P and other micropayments downstream. Until our economy gets off the ground, mobile money will need mainstream banking for salary and loan-driven injections for the foreseeable future, and interoperability makes sense both ways. Patient capital is certainly required to bolster low-income activity through enterprise promotion which will ultimately lead to sustainable transactional activity anchored by a firing economy. Hot 30-day micro-loans while welcome can only do so much to meaningfully leverage a sea-change in the economic activity of a stuttering economy like Zimbabwe. The poor market liquidity is engendering an inevitable and perhaps necessary price correction in the economy, and usage of cost-effective and interoperable payment platforms only makes common sense. The urgent destination for Zimbabwe is the reduction of cash usage towards the virtualization milestone, and interoperability of ecosystems is a key to the success of this necessary journey. Much as some players are closing up, Paypal has just burst through the front door in further evidence that Zimbabwe is very much a part of the global ecosystem, walling the garden is not sustainable. 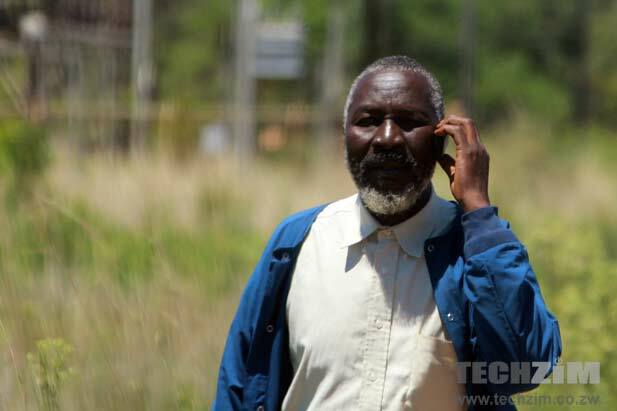 This guest article was written for Techzim by Agrippa Mugwagwa (@AgrippaGRM). Mugwagwa is a banker and digital enthusiast, and he writes in his personal capacity. The emerging mobile money ecosystems is changing way to do business, bring more convienience and ultimately a great cost cutting measure to improve on profitability.